Does Wearing a Suit Increase Productivity? You’d think that in this day and age with a hoodie-wearing billionaire CEO surfing the waves of corporate boardrooms, that there might be a softening of the assertion that only suit-wearing executives deserve success. But, apart from a little spike in casual dress acceptance in 2007, acceptance of casual dress in the workplace has declined. Since 2002, 53 percent of employers have allowed casual dress every day. In 2012, this figure dropped to 34 percent, reports a SHRM study. Suits rule. 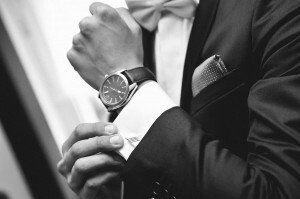 Now, we all know that we must “suit up” when we see clients and customers as this is the best way to communicate trustworthiness, competence and gravitas in superficial client interactions. We expect our fund managers, wedding planners, legal counsel, bank managers, etc. to look sharp. This isn’t up for debate. But, what is worth examining is that considering the decline in acceptance of casual dress code on a day-to-day basis, does sitting in a suit day in day out in the office actually increase productivity? I am sure that we all have our thoughts on this, (which I’d love to hear at the end of this article), but I thought it’s also worth taking a look at some of the research (around this topic) to put an evidence base around this. This study from the Master’s College by Sarah Maloney looked at whether their organization had seen a decline in performance since the relaxing off the campus dress code – and they found moving to casual dress did not have a defined effect on performance in the workplace. This shows that casual dress is not the root of all evil, but it’s hardly conclusive. More light needs to be shed on this topic and this has been done by an expansive Ipsos study of over 12,000 people across 24 countries. The study found that 45 percent of workers think someone who wears casual clothes is more productive in their job than someone wearing a more prescribed workplace or business attire, and 55 percent of workers believe that someone wearing a suit is more productive in their job than someone wearing casual clothes. Once again, not conclusive and arguably it’s circumstantial evidence as we don’t know whether the suit or lack of it was the reason for their performance level. We also don’t know if the observers simply perceive suit wearers to be more productive or if it’s based on real evidence. What’s interesting here, though, is that if suit wearers are viewed as more productive for whatever reason, it could increase your bonus, pay rise and promotion chances if you wear one. Another interesting observation was that 66 percent of workers say that senior managers should always be dressed up more than their employees; so, arguably, wearing a suit might mean you are able to command more respect and more effectively manage your staff. When we put on an item of clothing it is common for the wearer to adopt the characteristics associated with that garment. A lot of clothing has symbolic meaning for us, whether it’s ‘professional work attire’ or ‘relaxing weekend wear’, so when we put it on we prime the brain to behave in ways consistent with that meaning. Suits could be empowering for some people in certain situations, yet stifling for others, whereas casual dress could be liberating for some yet could make it hard for other to focus. This is why I think the secret lies in allowing employees to work in clothes in which they are most comfortable AND effective performing the job they are doing, be that formal, semi formal or casual. But, I’d love to hear your thoughts on this.